So I just posted some sushi on the other blog. Sadly the seafood salad I used to fill those was loaded with gluten and dairy so I decided to make some with shrimp. This is kind of a play off of a California roll since it has an avocado, but I unfortunately had no crab meat to use. Shrimp is cool too though. 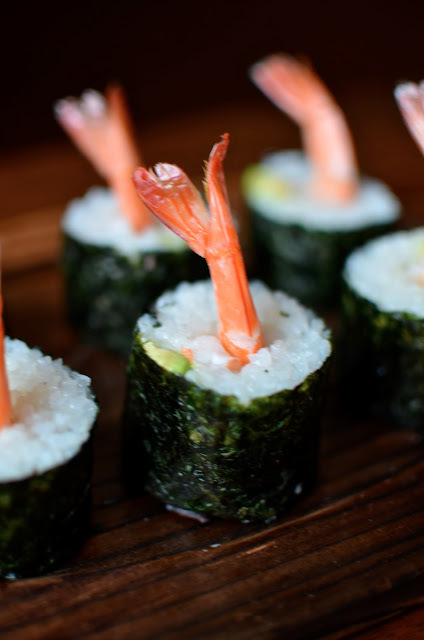 You'll also want some wasabi to dip your sushi in. It comes in a powder and you just add water. It's very strong so you don't need a lot. 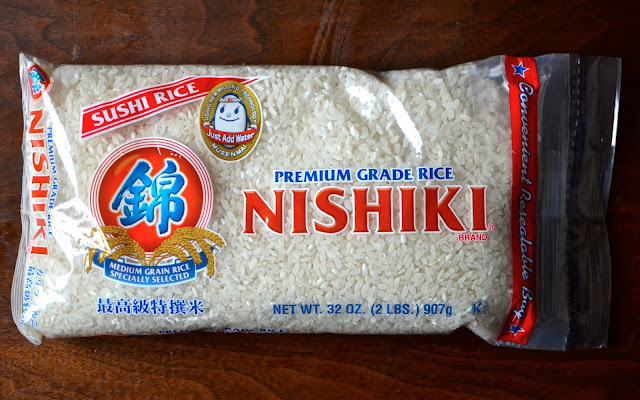 You'll also need some sushi rice. It has to be SUSHI rice or it won't be sticky enough. 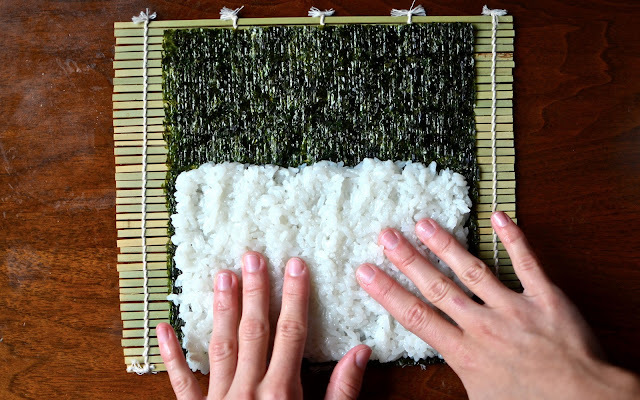 Place your nori on a bamboo sushi mat and cover about 2/3 with rice. Add your shrimp and avocado and roll it up. Make sure you have a nice, firm log. Bring the rice and water to a boil. Reduce heat to low and cover. Simmer for 20 minutes. Remove from heat and let stand, covered, for 10 minutes. Fluff with a fork and stir in the vinegar, sugar, and salt. Lay a sheet of nori on your mat. 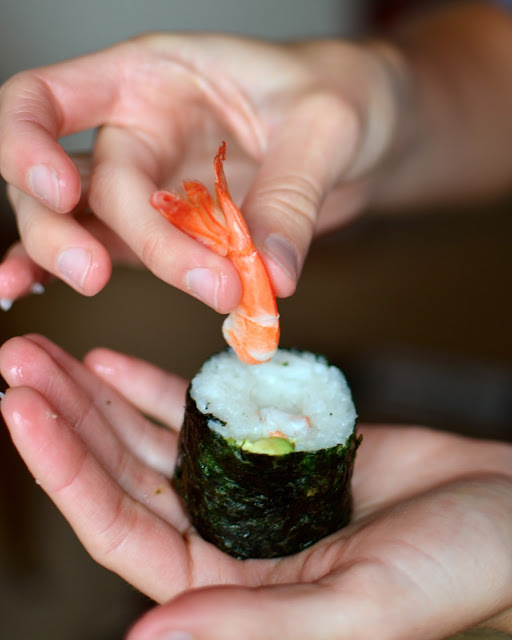 Place some rice onto about 2/3 of the nori and press with damp fingers until about 1/2 inch thick. Line a thin strip of shrimp along with some avocado in the middle of the rice.